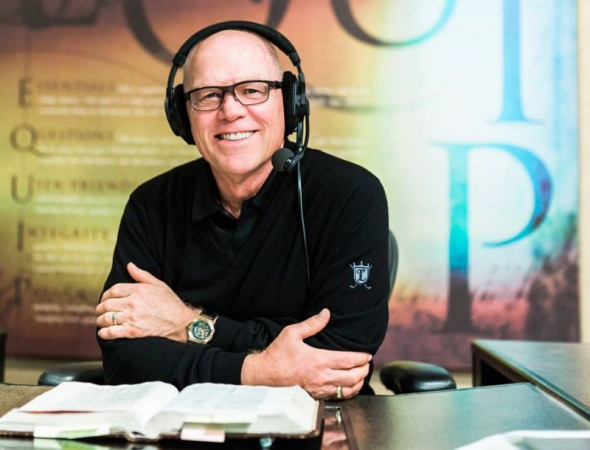 "Bible Answer Man" Hank Hanegraaff says watching pastors who act more like entrepreneurs focused on branding is part of the reason why he decided to leave evangelicalism and join an Eastern Orthodox Church. Is Orthodox Christianity Stuck In The Past? The Christian Research Institute president said that is not the case at all, and took the opportunity to speak about the type of “pastor-preneur” church leadership that he says made him uncomfortable. “Where the pastor is like an entrepreneur, branding, formulaically getting people into seats — that became troubling to me and I decided I was going to explore,” he said. The Winston-Salem-based Truth Network and Bott Radio Network both pulled his radio broadcast from their stations following his conversion, as the controversy unfolded. “We want to make sure that our listeners know that the programming that we have on Bott Radio Network is thoroughly biblical,” said BRN President Richard P. Bott II back in April. Hanegraaff revealed that what attracted him to the Eastern Orthodox tradition are its teachings on the Eucharist, or, Communion and union with God, along with “spiritual gymnasium” where repetition, liturgy, and ascetic practices like fasting are emphasized. The “Bible Answer Man” insisted that for the most part, his theological beliefs have not changed. “So, I stand shoulder-to-shoulder with evangelicals, with Roman Catholics, with Orthodoxy around the essentials of the Christian faith — meaning the main and plain things,” he said. Hanegraaff, who is undergoing chemotherapy after finding out in May that he has a rare form of cancer called mantle cell lymphoma, said he’s not too concerned about the radio stations that’ve dropped his broadcast. Cindee Martin Morgan, daughter of Walter Martin, who in 1960 founded CRI as a conservative Protestant counterculture apologetics ministry, pushed back against Hanegraaff’s critics in a statement to The Christian Post in May. “Given the fact that the Eastern Orthodox Church is very similar in ways to the Catholic Church — and holds to the essential Core doctrine of Christianity — I believe Dr. Martin would view this Church the same way,” Morgan told CP.